Civil lawsuits. Criminal investigations. Complaints to the College of Nurses of Ontario (CNO). Wrongful dismissals. These are just some of the legal situations RNAO’s legal programs can help you with. RNAO’s Legal Assistance Program (LAP) provides assistance for CNO complaints, subpoenas, and employment-related matters. LAP is a well-established and well-funded program that has helped thousands of members since 1986. It is an added protection for as little as about $5 per month ($64.57 per year). 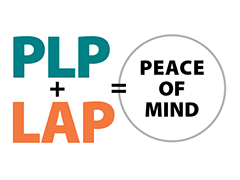 If you would like to join LAP today, please call us at 1-800-268-7199.